Adult massasauga are not especially large. Their color pattern consists of a grey or tan ground color with a row of large rounded brown/black blotches or spots down the center of the back and three smaller rows of alternating spots down each side. Solid black melanistic examples are also known, as well as cases where the back blotches join with those on the sides. Young massasauga are well-patterned but paler than the adults. Massasaugas live in wet areas including wet prairies, marshes and low areas along rivers and lakes. In many areas massasaugas also use adjacent uplands for foraging, basking and reproduction. Though adult snakes primary feed on small mammals, young snakes may also eat smaller snakes, amphibians and insects. Their home range may range between 2.5 acres and 62 acres. The Eastern Massasauga may hibernate up to 6 months over the winter using crayfish tunnels and rodent burrows at least a foot below ground. When they hibernate Eastern massasaugas are partially submerged in water, to prevent freezing and to allow them to “breathe” through their skin. This is a safer and more efficient way for these snakes to hibernate than in a dry burrow. Unlike many other snakes, they hibernate alone or in small groups of 2-7 animals. They will usually return to the same site to hibernate every year. As reptiles, massasaugas rely on external heat to warm their bodies, sometimes called ‘cold-blooded’ or ectothermic poikilotherms. In spring, after emerging from their hibernaculum, they spend a great deal of time basking in the sun. This helps warm their bodies and gets their metabolism going again. They will spend most of the spring basking before moving to their summer habitats to feed and find mates. 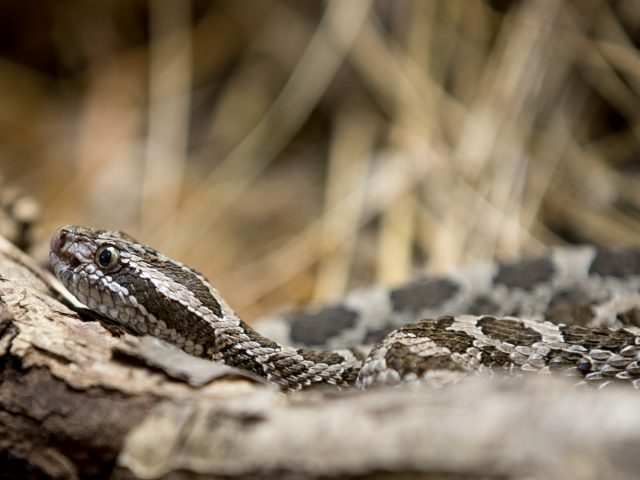 Massasauga rattlesnakes do not lay eggs, like most reptiles you may think of. Instead, they incubate their eggs inside their bodies, a process called ovoviviparity. The eggs will hatch while still inside the female, and she will give birth to live young. The massasauga is Michigan’s only venomous snake and is listed as a threatened species by the USFWS under the Endangered Species Act. 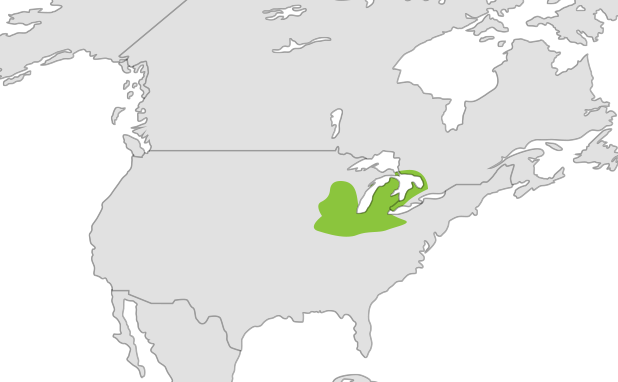 They are becoming rare in many parts of their former range and throughout the Great Lakes area, due to wetland habitat loss and elimination by humans. These rattlesnakes avoid confrontation with humans; they are not prone to strike – preferring to leave the area when they are threatened. What YOU can do to help: Don’t kill Michigan snakes. Learn how to identify species and observe from a distance. These rattlesnakes avoid confrontation with humans; they are not prone to strike – preferring to leave the area when they are threatened. 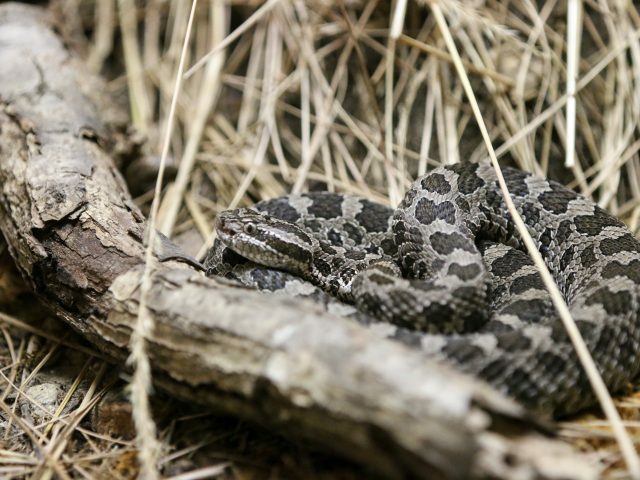 Click here to learn how to identify snake species in Michigan. 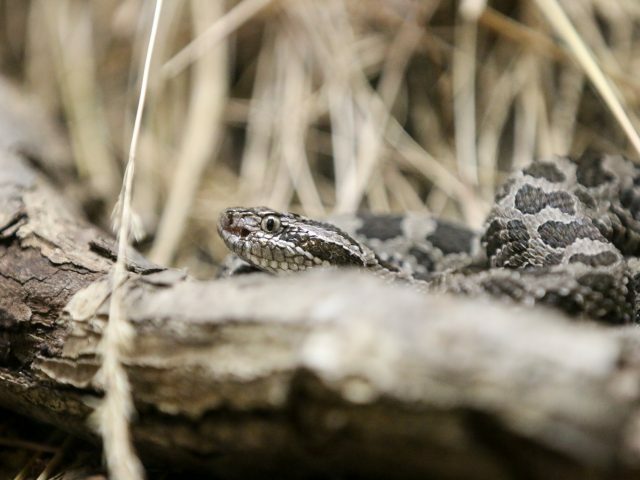 Click here to report a Massasauga sighting to the MI DNR. Visit www.emrssp.org for more information on massasauga conservation. There are many common names for the massasauga, including black rattler, black snapper, prairie rattlesnake, and swamp rattler. 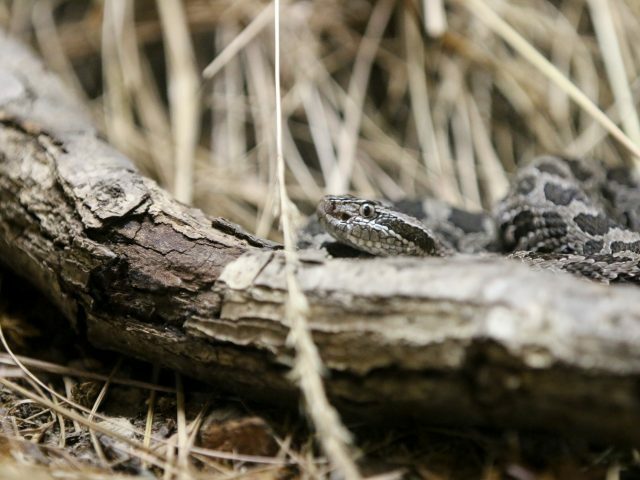 Found in woodland areas all across the Lower Peninsula, the massasauga is Michigan’s only venomous snake. We have one young female massasauga here at Potter Park Zoo. She was born at the Detroit Zoo. Massasauga range in size from 18” to 30” in length. The massasauga diet consists mainly of rodents, crayfish, frogs, and sometimes other snakes.